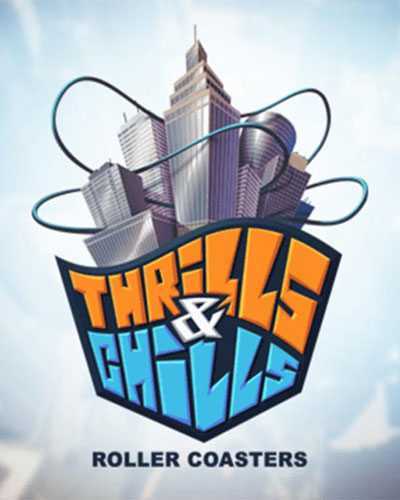 Thrills and Chills Roller Coasters is a Simulation game for PC published by Black Cell in 2016. Do you want to be in a realistic roller coaster? This simulation VR game gives you the most enjoyable experience of riding on a roller coaster. You will feel the wind in your bones by playing it on VR headsets. You have the full control of the roller coaster in this game. The players change the speed rate but it’s not possible to stop the roller coaster. So, You should take care of yourself while you’re on a ride! If you don’t pay attention to the safety rules, You may even fall down! There is only one environment in this version of Thrills and Chills Roller Coasters. This environment includes three tracks in total. But the developers have assured that they will add more in the future. When you get on a ride, The first thing should be fastening the seat belt. As Thrills and Chills Roller Coasters needs a VR headset, It will sentimentalize you so much. You will fully feel riding on it. This game may seem a simple game but it can be really fun on virtual reality. When you go to the high areas, You can see the whole city with high details. In that case, You will feel that you’re on a real roller coaster in a detailed and simulated city. If you have any idea about new environments or such things, You can tell it in the community of Steam. The developers of Thrills and Chills Roller Coasters will make new contents based on what users have said. 0 Comments ON " Thrills and Chills Roller Coasters Free Download "